An agoraphobic man falls ill and refuses to leave his home to be treated at the hospital. 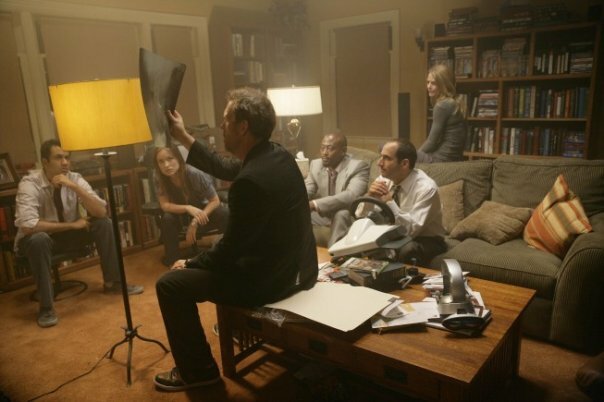 Therefore, House and the team go to his home to figure out what might be wrong. Cameron takes charge of the case as she had treated the patient in the past and she and the team figure out ways to treat him at his home. However, the patient's condition worsens and it becomes difficult to treat him at his home. House and the team plan to get the man into the hospital for surgery without causing any problems. Meanwhile, Cameron and Chase attempt to work through issues in their relationship, and House deals with an annoying itch he cannot seem to scratch, with Wilson making his own analogies about the problem. Whole or part of the information contained in this card come from the Wikipedia article "House (season 5)", licensed under CC-BY-SA full list of contributors here.